Leslie Lamport, who created LaTeX, has recently received the prestigious Turing Award (see here and here). An accomplishement in itself, his work on LaTeX is not even the reason why he got the award. Donald Knuth, who created TeX, also received the Turing Award (see here). Who else received prestigious prizes and is connected to the TeX world? Guy Steele is an award-winning computer scientist who is connected to TeX. Here is the beginning of a short bio taken from Peter Seibel's book, Coders at Work, for which the author interviewed Steele. He had a hand in the creation of both of the major surviving general-purpose Lisp dialects: Common Lisp and Scheme. He served on the standards bodies that defined Common Lisp, Fortran, C, ECMAScript, and Scheme and was recruited by Bill Joy to help write the official language specification for Java. He is now at work designing Fortress, a new language for high-performance scientific computing. Steele’s academic career included an AB from Harvard and an SM and PhD from MIT. While at MIT he collaborated with Gerald Sussman on a series of papers now known as “The Lambda Papers,” which included the original definition of the Scheme programming language. He has also been a chronicler of hacker culture as one of the original compilers of the Jargon File and editor of the book version, The Hacker’s Dictionary (subsequently updated and expanded by Eric S. Raymond as The New Hacker’s Dictionary). And he played an important role in the birth of Emacs and was one of the first programmers to port Donald Knuth’s program TeX. Steele is a Fellow of the Association for Computing Machinery and the American Academy of Arts and Sciences and a member of the U.S. National Academy of Engineering. He won the ACM’s Grace Murray Hopper Award in 1988 and Dr. Dobb’s Excellence in Programming Award in 2005. Knuth himself, in the interview he gave to Seibel for the same book, describes Steele as influential in the development of TeX (see p597 in Coders at Work). Seibel: You’ve designed some languages yourself—probably the most widely used of which is TeX. Knuth: So TeX is a programming language but I had to put in those features kicking and screaming. Guy Steele, Terry Winograd, Leslie Lamport, and different people needed things when they were using TeX as a front end for their material. I think Terry Winograd was writing a book on the syntax of natural languages, so he had some really powerful macros that he wanted to write in order to make the diagrams in his book. That pushed TeX a lot towards becoming a programming language in the earliest days. 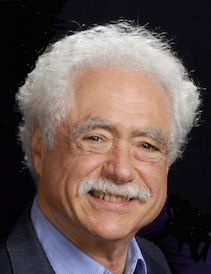 Another award-winning computer scientist who Knuth cites as an influence on the early development of TeX is Terry Winograd. Winograd was a founding member and past president of Computer Professionals for Social Responsibility. He is on a number of journal editorial boards, including Human Computer Interaction, ACM Transactions on Computer Human Interaction, and Informatica. He has advised a number of companies started by his students, including Google. 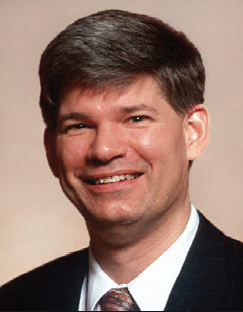 He was the recipient of the 2011 SIGCHI Lifetime Research Award. In Peter Seibel's Coders at Work, Knuth refers to Winograd as someone who convinced him to make TeX a full-fledged programming language.